Organic concentrated apple syrup (sugar replacer). 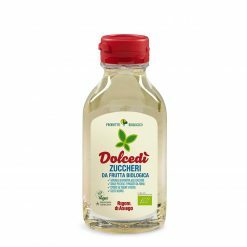 DolcedÃ¬, with a Glycemic Index of 22.5, is suitable for those who want to eat well and follow a balanced diet for a healthy lifestyle. It is the natural alternative to sugar, with 20% less calories. Use it any way as a traditional table sugar or honey. Try it in coffee and tea or with pancakes, yoghurt or fruit salad. This syrup is ideal for the preparation of recipes and baking. Unlike some sweeteners, it has a neutral flavour, thereby enhancing the taste of your cooking without altering it. A leader in ItalyEEs organic food movement, the company also cares about people and nature, throughout farming, processing and marketing. It provides favourable working conditions, and uses recycling and renewable energy in its operations to reduce its environmental impact. Rigoni di Asiago is committed to offering quality ingre”nts and genuine flavours. Ripe fruit is selected, washed and frozen within hours of being harvested. Low-temperature processing methods preserve nutritional qualities of the basic ingredients as much as possible. An in-house lab runs quality checks at each stage of production from cultivation to packaging. Dolcedi is a natural sweetener made from organic apples. It is a natural alternative to sugar, offering the same level of sweetness, with 20% lower calories and a lower glycemic index. 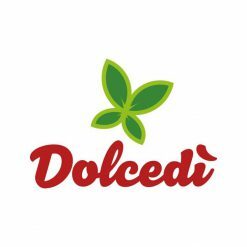 Unlike some other natural sweeteners, Dolcedi has a neutral flavour, making it ideal for all applications, including beverages and in cooking. As a liquid, it is squeezable and easy to use.